What To Do > Colorado > Vail Valley > Shopping > Riverwalk Wine & Spirits - Wine, Beer and Liquor in the Vail Valley. Riverwalk Wine & Spirits, near Vail and Beaver Creek, has been the local wine, beer, and spirits store since 1996. Free delivery in the Vail Valley on orders over $100. Locally owned and operated since day one! 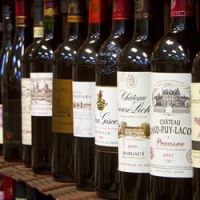 Located in the Riverwalk shopping center in Edwards, it has a large selection of everyday and rare products, specializing in fine wine, craft beer, and Colorado-produced liquors. Three Certified Sommeliers deliver outstanding knowledge, customer service, and great prices. Join the Monthly Wine Club to discover new and interesting wines. Activity - Wine, Beer and Liquor in the Vail Valley.